In the vein of Randall Munroe's What If? meets Brian Green's Elegant Universe, a senior writer from Space.com leads readers on a wild ride of exploration into the final frontier, investigating what's really "out there." Dr. Michael Wall is a senior writer at Space.com who has written extensively about the search for alien life. His work also has appeared in Scientific American, NBC News, Fox News and a number of other outlets. He holds a graduate certificate in science journalism from the University of California, Santa Cruz. Before becoming a writer, Dr. Wall worked as a biologist; he earned a Ph.D. in biology from the University of Sydney in Australia and has 15 peer-reviewed publications. He's based in San Francisco, where he also chronicles the space tech revolution in Silicon Valley. "Perhaps since the dawn of language, humankind's most profound quest has been to answer the question-'Are we alone?' 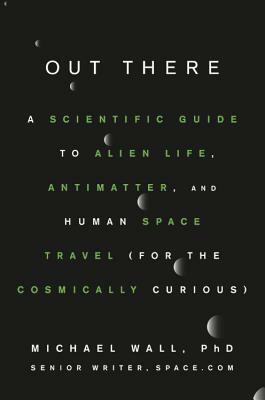 Mr. Wall's book takes us on an insightful, engaging, and at times humorous journey through the cosmos, and explains why we may now be on the verge of answering that question! "—Bill Diamond, president and CEO of the SETI Institute.